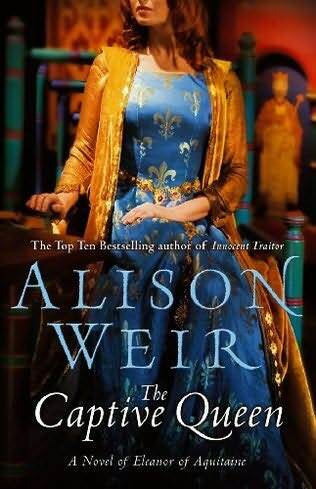 I was so looking forward to The Captive Queen by Alison Weir. Although I haven’t read any of her novels before, I have read several of her historical biographies. I think Alison Weir writes non-fiction really well and I especially enjoyed her biography of Eleanor of Aquitaine. That book was one I found particularly influential and I loved the character of Eleanor that she created from the patchy historical sources. So, a novel about that woman and informed by extensive research? Should be great, right? Something went wrong. Partly it was in my expectations. Weir says in a note at the end of the book that what she was trying to do was portray the marriage of Eleanor and Henry II, one that was supposed to be an intense, passionate relationship and was very eventful. That’s not really the book I wanted to read. I wanted to read about Eleanor in full. Her marriage is important in her story but she spent a lot of time apart from Henry and there were many other significant relationships in her life. I wanted to see her as a stateswoman and those parts were glossed over. Frustrating, but not what it was intended to be about, so it’s not fair to criticise the lack of it. The question thus becomes, did Weir do what she says she set out to do? I think that the writing is quite flawed. The balance of interior monologue to dialogue and action is tipped too far in favour of monologue. The interior voice isn’t that compelling and there were a number of times when I wondered if I was reading a Mills & Boon. Characterization is light and the relationships are not convincing. Dialogue is lacking and not that well done. I have always held that a good non-fiction writer can write good fiction but this book proves it is not always true. It is a shame, because Weir is a great writer. I’d recommend you read all her non-fiction, but steer clear of the novels.